After several months of therapy, rehabilitation, and instruction on how to live as a quadriplegic, Herb returned home, was working as an engineer, earning a good living, and doing very well on his own. In the fall of 1998; however, we lost Herb due to medical complications. Because of the quadriplegic’s paralysis, they remain physically inactive and often contract pneumonia and die of infection. This is how most quadriplegics die as we have recently seen with the actor, Christopher Reeves who became a C-2 Quadriplegic due to a horse ridding accident. Chris was the last disable person I got to work with using my SenSei System. 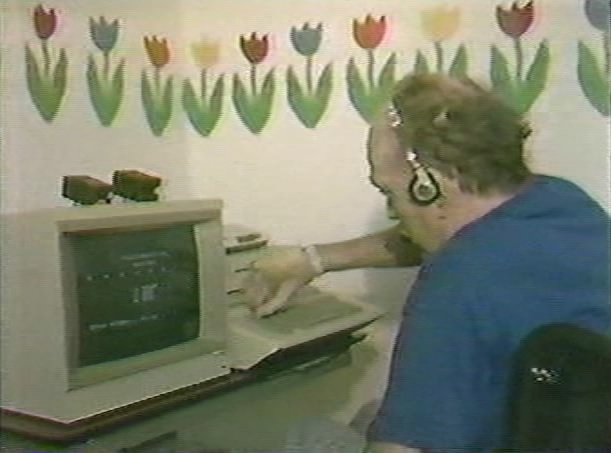 Until Herb death, the SoftVoice computer system served him well by reducing his dependence on home health care thus reducing the overwhelming expense to his insurance company, allowing Leon to work and earn a living, and regain some of his dignity lost though his loss of independence. Everyone involved with Leon was shocked at the speed of his recovery as well. Where it normally takes nine months or more to ready a quadriplegic to leave the hospital and live on their own, Leon was ready to return home in less than six months. Then, believe it or not, I once again went back to my computer store thinking I just put together another cool system for this one individual. I was in for a surprise. Some time after Herb left St. Elizabeth’s Hospital in Yakima, there was another unfortunate accident. This time a man in his late forties was driving home late one evening from work and fell asleep at the wheel. His car swerved off the road and flipped over multiple times. The man was not wearing a seatbelt. Just Like Herb, Herb Smith woke up in his hospital bed never to move from the neck down again. Just as Herb was face with what his life would be like for ever on, Herb faced that same life and death decision; do I live like this for the rest of my life being a burden on everyone around me, never being able to do anything for my self again or do I end my life by refusing medication, therapy, and food. The doctors, nurses, therapists, and other hospital staff recognized the signs. Herb had chosen death over life. The staff thought, this time there was hope. There was a product that had just performed miracles with their previous patient, Herb. They thought; maybe it could work the miracles for Herb. I got the call to come to St. Elizabeth’s Hospital to “Make an emergency computer installation.” An emergency installation of a computer? That was the first time I ever heard of a computer being installed in an emergency situation. 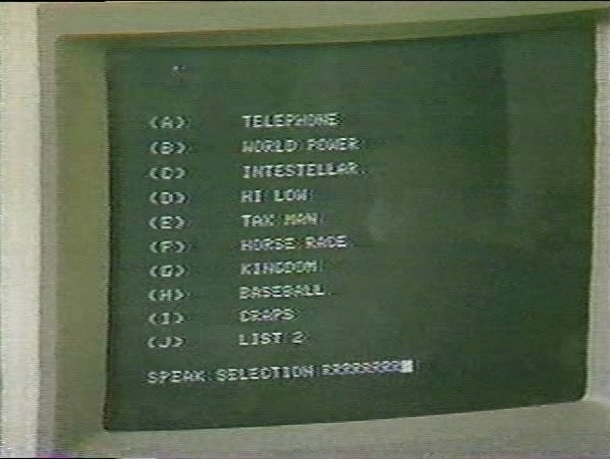 Back in 1986, computers weren’t yet serious. They were used mostly for games and balancing your checkbook. Some word processing, or the occasional spreadsheet was created in a few offices, but they weren’t mainstream. They weren’t considered a necessity let alone a piece of emergency equipment. Again, cool! I put together another SoftVoice System, serial #0003. Herb was #0001. The system I owned was serial #0002, and now Herb’s would be #0003. Now there are three of them in existence. Getting cooler! I grabbed the system, threw it in the back of my S-10 pick up and headed off for Yakima, again. This time I was careful not to drive over the speed limit. The last one cost me $180 and 3 points on my license. When I arrived at Nurse Stump’s station, she pointed me down the hall. When I got to the room there was a nurse, physical therapist, and Herb’s doctor all standing around Herb’s bed with a look of dismay. The scene was similar to Herb. As the doctor tried to speak to Herb, he turned his head to his right and would not listen, would not make eye contact. The big difference betweenHerb and Herb was, he appeared much weaker than Herb. He had a stare in his eyes that made him seemed lost somewhere, not with us. There was little doubt that we were going to loose Herb. SoftVoice would not be able to perform the same miracles we saw with Leon. We propped Herb up with as many pillows as we could, but he was really weak. I tried to train Herb on the voice recognition part of the set up, but he was weak and disinterested. I did get him to half-heartedly participate for a while, but it wasn’t working. Herb wasn’t there. He had really given up. I leaned over and placed my hand on Herb’s arm where he could see it and told Herb that I would be back when he was feeling a little better. I turned, left the room, and proceeded down those dank halls to the Nurse’s station where I met with Herb’s doctor. Before I could say a word, the doctor began with “I think we’re going to loose this one. It doesn’t look good.” I asked the doctor what more I could do to help. He explained that if Herb wasn’t willing to help himself, no one at St. Elizabeth’s could help Herb. I asked the doctor if we did loose Herb, how long does he have? The doctor told me maybe three weeks at the most. I shook the doctor’s hand, walked to my truck in the parking lot, and slowly drove home thinking about Herb the entire way. For several days after that I called the hospital to check in to see how Herb was doing and to see if there was anything I could further to help Herb. I felt so helpless and would do most anything to help Herb, but there wasn’t a thing I could do. After several days, I stopped calling the hospital. I think now how selfish this was, but I didn’t know what to do. I couldn’t help, and I really didn’t want to hear that Herb had died. I just stopped calling. I could hear her press the hold button on the telephone and say “It’s St. Elizabeth’s for you!” I knew ahead of time what this was for sure. There was little doubt. It was about 3 ½ weeks since I installed the second SoftVoice System with Herb. I also remembered what Herb’s Doctor had told me, he only had about three weeks. I said hello and asked whom I was speaking with. I twas Nurse Stump again and when I asked what the call was regarding, she replied with the same “You need to come up here. Can you be here before 2:00 PM?” I said sure and asked what Herb’s condition was. Again, Nurse Stumps’ answer was, we’ll talk about Herb when you get here. I had plenty of time so I drove once again from Kennewick that one and a half hour drive to Yakima knowing full well that I had to pick up the system. Herb was dead. We tried. We failed. You can’t save everyone. I was really preparing myself for the inevitable. When I got to the hospital they sent me down to Herb’s room. As I approached the door I remembered the feeling I had when I came back for Herb system thinking he was dead. When I reached Herb’s room just as last time, Herb’s bed was empty. I knew from experience that this could go either way. I also knew how weak Herb was when I saw him last and what his doctor had told me. If I was a betting man, I’d have to put my money on the empty bed was wasn’t a good sign. When I entered the room I was totally surprised. You guess it? No you didn’t, anymore than I did. Herb was alive, healthy, and sitting upright in his wheelchair next to his SoftVoice System. The additional surprise was… The room was filled with television cameras and a news reporter with microphone in hand ready to interview the inventor of the computers that are saving people’s lives! Hugh? We did the interview with Herb demonstrating his new computer system and like Herb, Herb had regained the use of his right arm. He had enough motor control to type on the keyboard and use the voice recognition. He was making telephone calls, and turning on lights, and typing letters. I was amazed and so was the reporter. We finished up the feature news story for NBC NewsCenter Yakima. Yakima wasn’t a big market, but it was cool to see myself on television. It also gave me a sense of credibility, or confirmation that this was all real. If NBC thought it was a legitimate news story, maybe it was. For the rest of my career I struggled with this concept. What is easy and apparent for me, seemed to be pretty astonishing to others. It just comes so easy; if it’s that easy, it couldn’t be that valuable. Being on NBC NewsCenter that evening made it real for me. I thought to myself, that maybe I should start taking this serious or at least pay some attention to it. 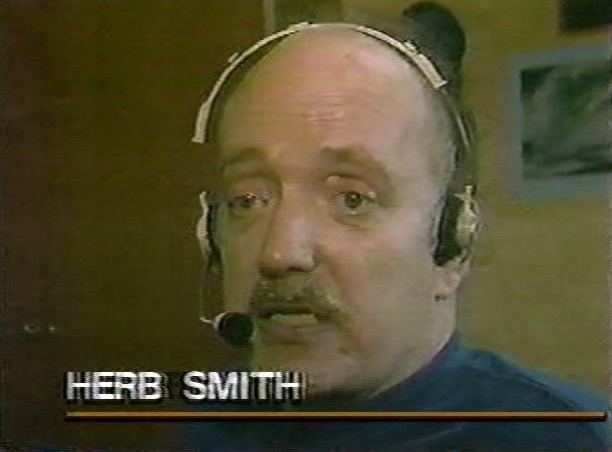 Thanks to my wife Sherrie, I was able to take the copy she made of the original NBC NewsCenter feature story showing Herb using the second SoftVoice System ever and make it available for you to watch from my web site. As with the previous video, I apologize for the quality as it is old and has been converted to download from the web.